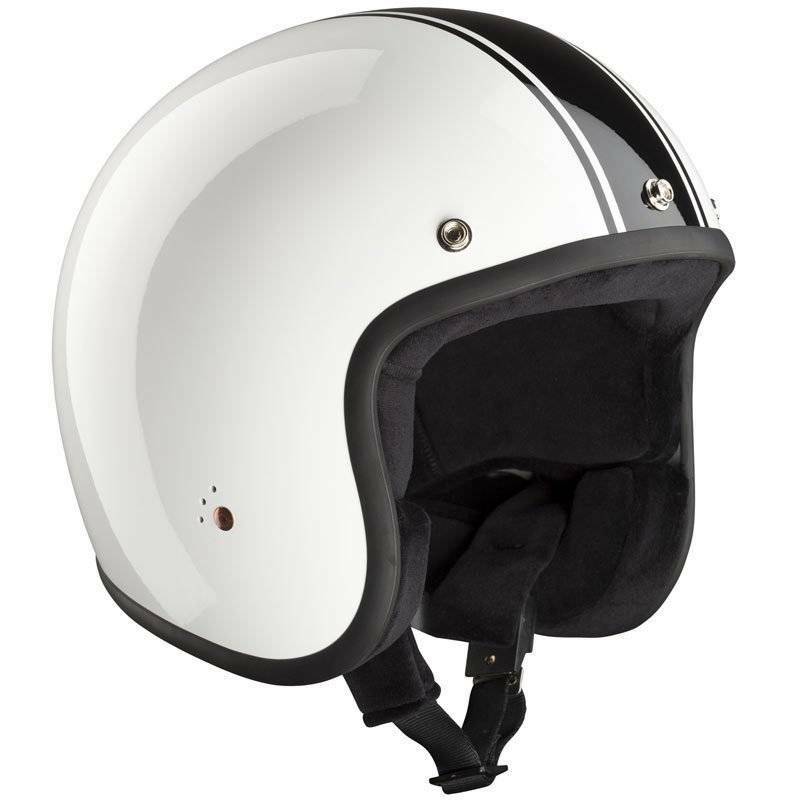 Finaly, the famous 70´s Style open face jet helmet of Bandit is now available with ECE homologation. 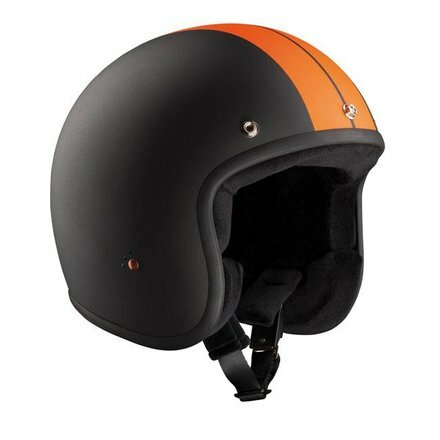 It took them quite some time of R&D, destroyed hundreds of helmets on the impact testing machine to develope the smallest possible open face helmet which pass the requirements of ECE standard. Now it is ready, with the smallest outer shell possible, a smaller outer shell then any other ECE helmets we know. 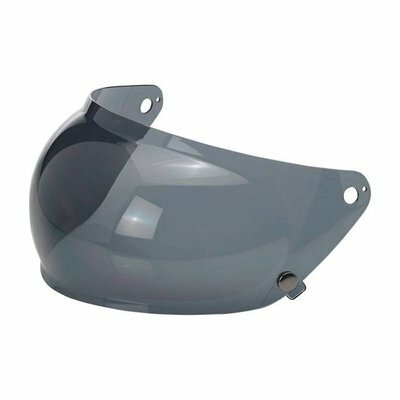 Shell comes in 3 sizes, very small for XS to M1 (57) size, small for M2 (58) to L size and 3rd shell for XL and XXL size. 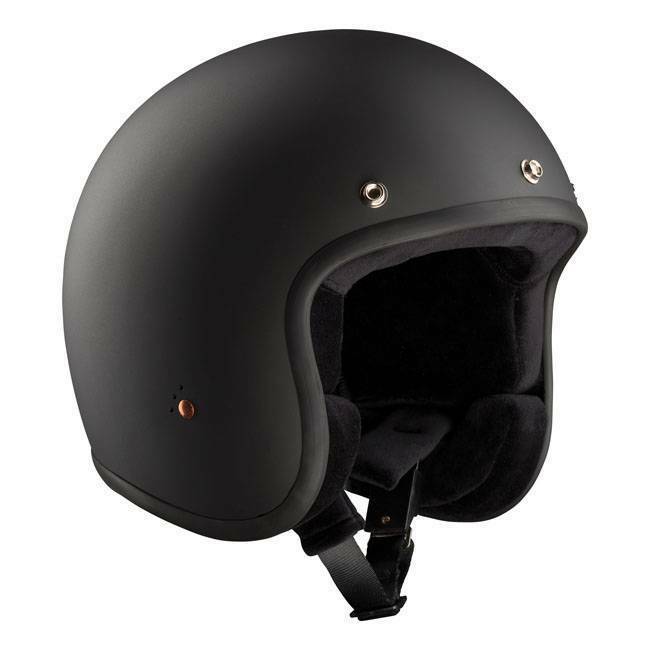 Most Customers dislike the Astronout appearance of most ECE apporoved helmets. 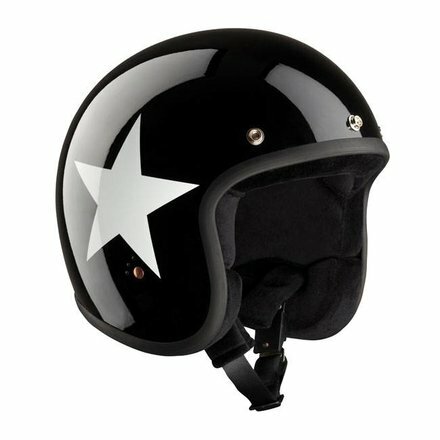 The new ECE homologated version of the helmet avoids the big shell and this is exactly Bandit was looking for, absolutely road legal.